For more information, please refer to the course brochure. 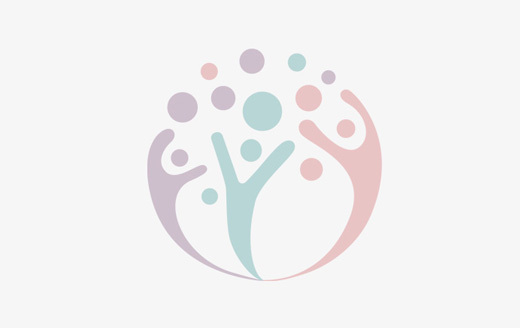 Enrolled Nurses and Nursing Aides working in nursing homes, hospices or community hospitals who care for patients with life-limiting conditions. Susan has experience working in a multitude of palliative care settings. In 2010, together with a team of dedicated and like-minded colleagues, she was part of the team which started the Home Care team at Dover Park Hospice. She has also worked in the inpatient team as well. 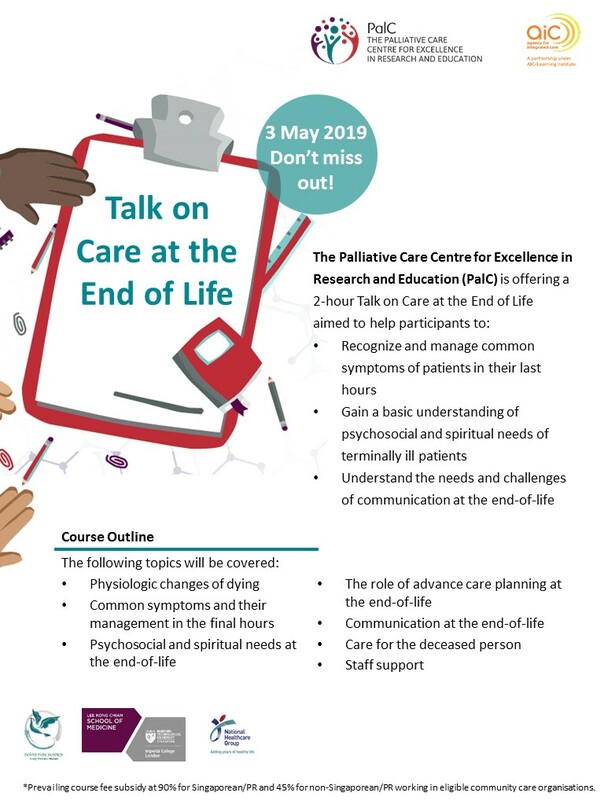 In addition to clinical home visits, Susan also teaches a variety of topics on palliative care with The Palliative Care Centre for Excellence in Research and Education (PaIC). 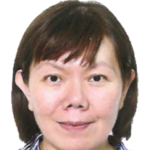 Previously, Susan had worked in an acute hospital setting as a Palliative Care Nurse Clinician at Tan Tock Seng Hospital and also in the Home Care team at HCA Hospice Care. Susan was a recipient of the Healthcare Humanity Award in 2007. Please register via AIC ILTC-LMS. Registration closing date is 15 April 2019. For those without access to AIC LMS, please complete the course registration form and send to enquiries@palc.org.sg. You may contact us at enquiries@palc.org.sg or 6500 7269 if you have any queries.